Researchers: Shfaqat A. Khan and Ioana S. Muresan, DTU Space, National Space Institute, Technical University of Denmark; Kurt H. Kjær, Kristian K. Kjeldsen, Anders A. Bjørk, and Niels J. Korsgaard, Centre for GeoGenetics, Natural History Museum of Denmark, University of Copenhagen; Michael Bevis, Geodetic Science, Ohio State University, Jonathan L. Bamber, Bristol Glaciology Centre, University of Bristol; John Wahr, Department of Physics and Cooperative Institute for Research in Environmental Sciences, University of Colorado, Boulder; Leigh A. Stearns, Department of Geology, University of Kansas, Lawrence; Michiel R. van den Broeke, Institute for Marine and Atmospheric Research, Utrecht University, Lin Liu, Department of Geophysics, Stanford University; and Nicolaj K. Larsen, Department of Geoscience, Aarhus University. The ice stream in northeast Greenland shows rapid ice loss because of rising air surface temperatures and the loss of sea ice, which is associated with rising sea surface temperatures. 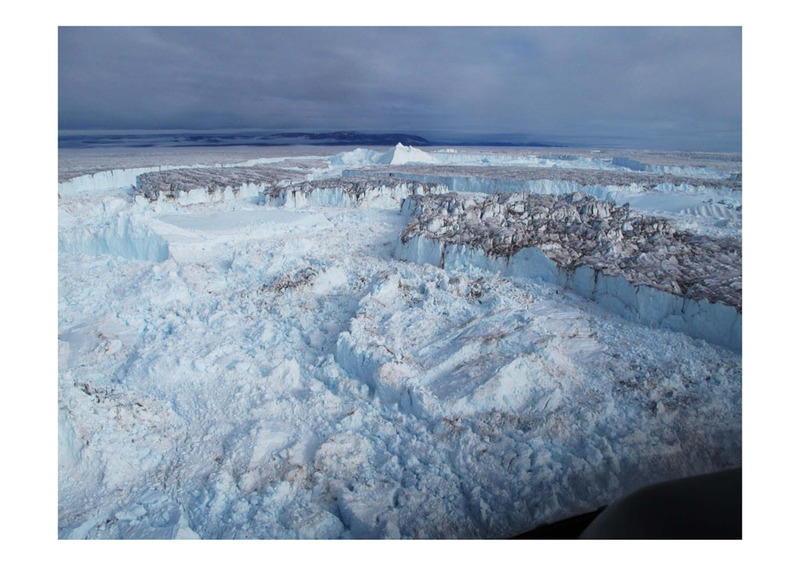 The thinning glaciers are detected by a combination of satellite and aerial imagery plus GPS measurements of ground surface rebound due to rapid ice mass loss. Models do not predict the northeast sector of the continent to show such melting with consequences for under-estimating sea level rise. 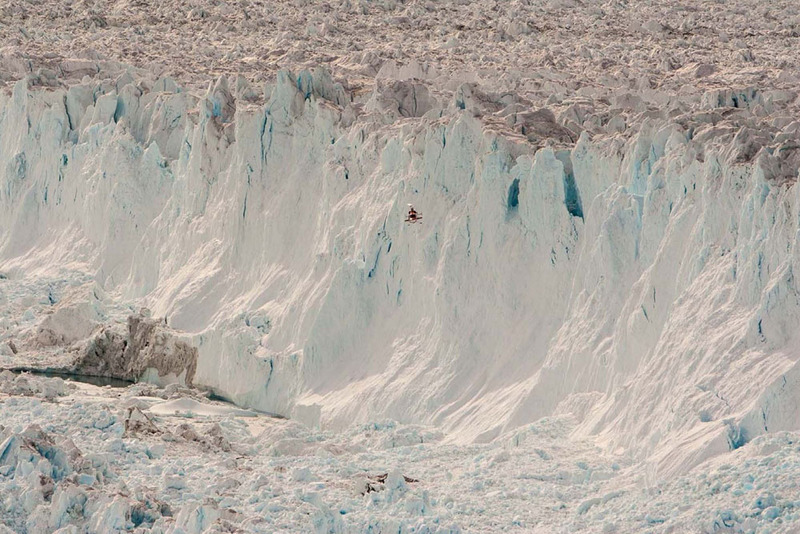 Melting of the Greenland ice sheet has been one of the largest contributors to global sea level rise and ongoing observations continue to show rapid ice loss. 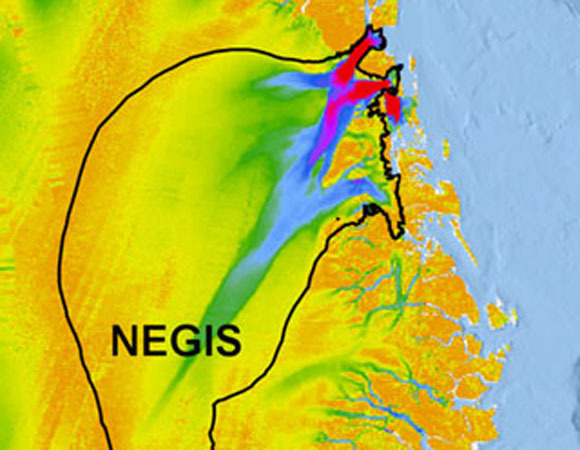 Rapid melting of the ice sheet in the southeast and northwest sectors has been documented, however the northeast sector was thought to be more stable. Repeat measurements of surface elevation of the Greenland ice sheet were made using NASA’s airborne topographer mapper flights from 2003-2012, ICESat laser altimeter data from 2003 to 2009, Environmental Satellite (ENVISAT) data from 2009-2012, land, vegetation and ice sensor data from 2007 to 2012 and aerial photographs from 1978 to the present. 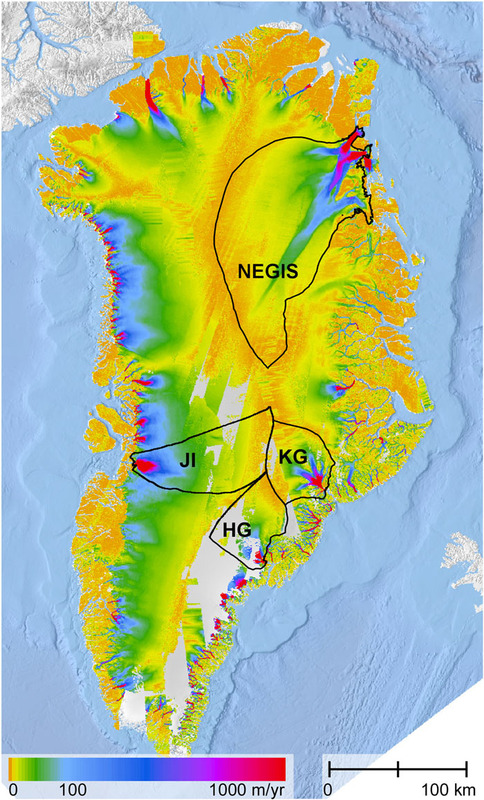 The global positioning system (GPS) network on Greenland bedrock measures vertical ground surface changes that can be compared to ice surface elevation changes to determine ice mass loss. Analysis of the data show significant and rapid ice mass loss starting around 2003. Warm summer temperatures from 2002 to 2004 are likely a major contributor to ice loss as glacier fronts calved and retreated. The loss at the toes of the glaciers then accelerated melting upstream along the glacier-ground surface boundary. The thinning and instability allowed warmer ocean water to infiltrate the bottom of the glaciers, accelerating melting in a positive feedback loop. The rate of melting in the northeast sector was greater than 10 gigatons per year in 2003 and these high rates of melting have continued. Models did not predict such high mass loss for this sector and this is concerning because it may mean greater sea level rise than predicted. Sustained ice mass loss of the northeast Greenland ice sheet triggered by regional warming, Shfaqat A. Khan et al. Nature Climate Change, DOI: 10.1038/NCLIMATE2161, 2014.